Before SkillNet: Talisys had been tracking employee skills on different spreadsheets – a separate one for each role at the company. Version control was a nightmare, and it took hours and hours of work each time an update was needed. They came to SkillNet looking to automate their previously manual skill management process. Before SkillNet: DeVry was looking for a way for its students to have an easier time finding internships and jobs. Employers didn’t know what students’ skillsets were, so they turned to SkillNet to help upskill the students and put the students’ skills on display. 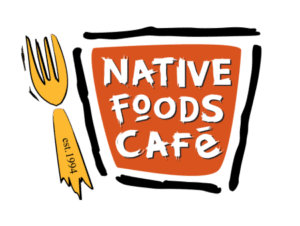 Before SkillNet: Native Foods was struggling to create a structure for their managers and help employees to engage in development conversations, and employees didn’t know the skills expected of them in their current job, not to mention the skills of the job they were aiming to reach. Before SkillNet: ITF wanted to launch a mentoring program, but didn’t have a platform to serve as the foundation. They didn’t have an area for mentees to know what was expected of them or how to access resources for improvement, and communication with their mentor was limited to LinkedIn and email. Before SkillNet: i.c. stars wasn’t tracking the individual skills development of the interns working through their program. They needed more information into the skills and competencies both to have more success in fixing skill/knowledge gaps and in placing the interns into interviews.